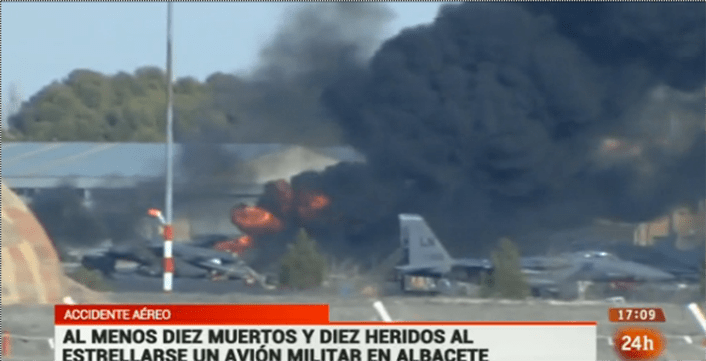 Photos from Albacete airbase, in Spain, show fire on the flightline. According to the reports coming from Albacete airbase, home of the Tactical Leadership Program, an F-16 belonging to the Hellenic Air Force has crashed on take off. Photos emerging on social networks seem to suggest the aircraft may have hit the flightline: two Italian Air Force AMX jets seem to be quite close to the burning wreckage of the Greek two-seater F-16D. 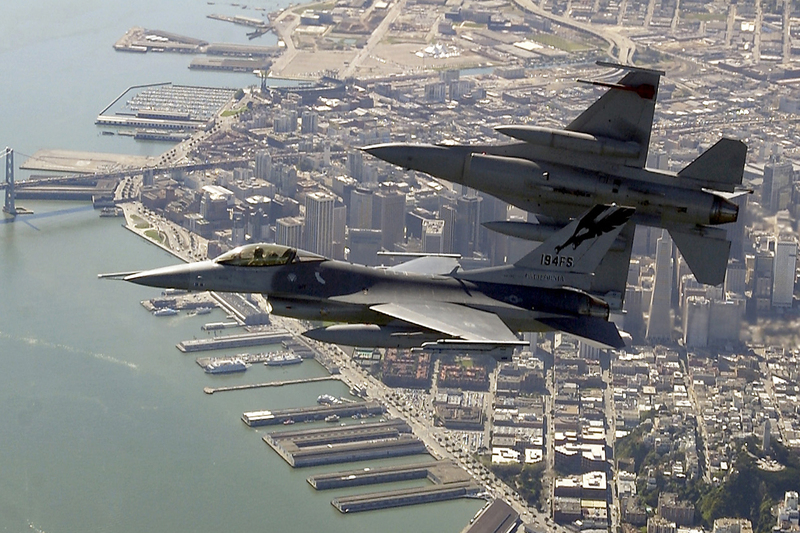 However, more aircraft are believed to be involved, since several explosions were heard following the impact of the HAF fighter jet. Spanish media outlets have been issuing updates since the incident occurred around 3.00 PM LT: according to the latest reports, 2 people were killed and 10 injured as a consequence of the crash. 10 casualties and 13 injured people, according to the latest reports from the crash scene. At least one French Alpha Jet seems to have been hit by the F-16D; U.S. F-15E aircraft appears to be parked close to wrecked Fighting Falcon. According to the Italian MoD 9 Italian military injured in the Greek Air Force F-16D crash at Albacete in Spain. The Italian contingent taking part in TLP includes 2 AMX jets from 51° Stormo (Wing) of the Italian Air Force from Istrana airbase and 5 AV-8B+ Harrier II of the Italian Navy from Grottaglie airbase.